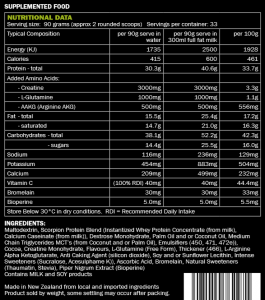 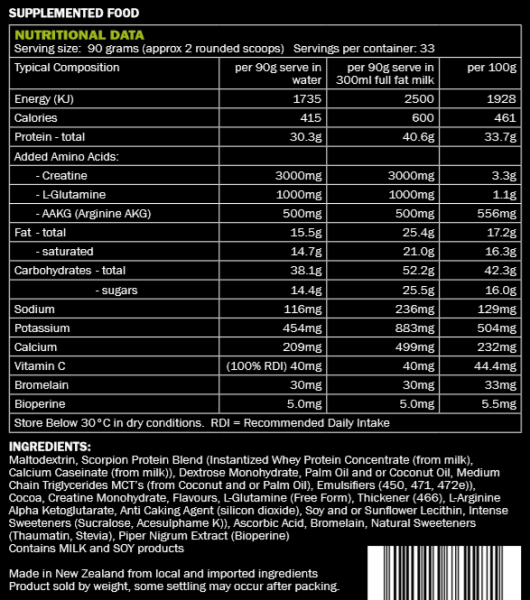 Scorpion Mass Attack is a new species of lean mass gainer. 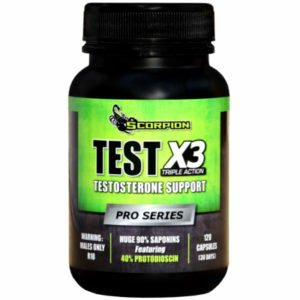 Scorpion Mass Attack is one of the most calorie dense muscle growth formulas available today! 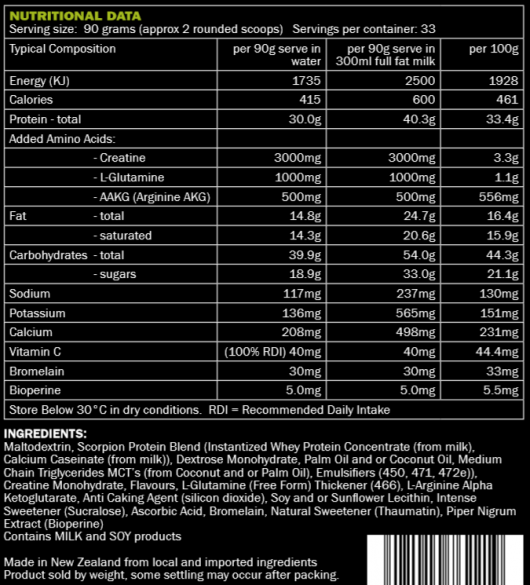 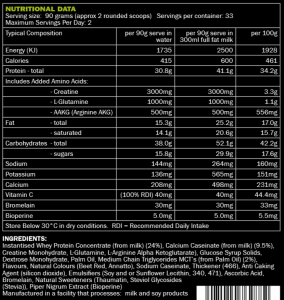 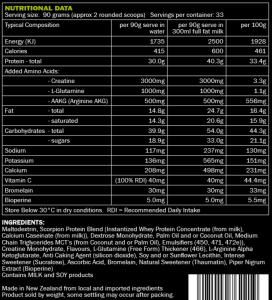 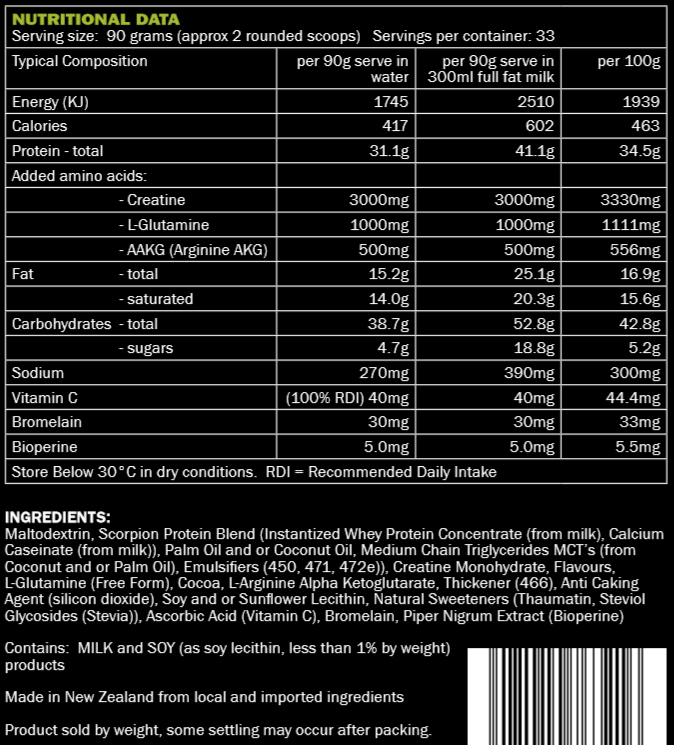 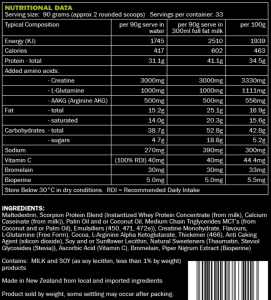 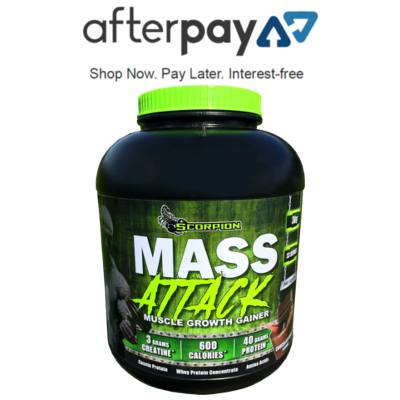 We believe MASS ATTACK is the best tasting Mass Gainer (or shake of any kind) on the planet! 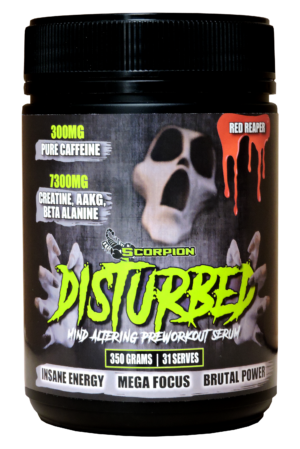 Don’t bother with inferior mass gainers that only add body fat, if your goal is to pack on lean muscle you need Scorpion MASS ATTACK! 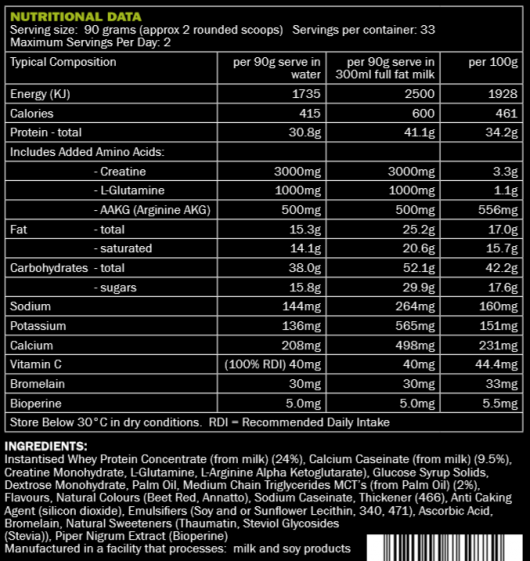 Mix 90 grams (2 heaped scoops) in 300ml of water or milk in a shaker bottle. 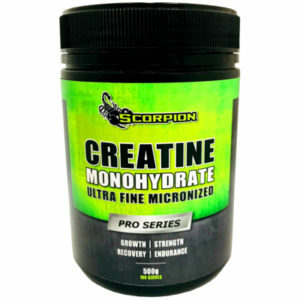 Best taken between meals, preferably take one serve after exercise to help recovery & provide all the nutrients required for muscle growth & mass gain.